Flowers? Candy? Breakfast in bed? 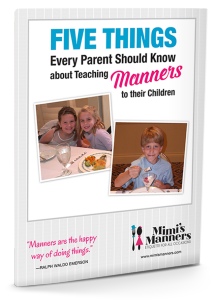 These are all great ideas, but have you ever thought about giving the gift of manners for kids this Mother’s Day? 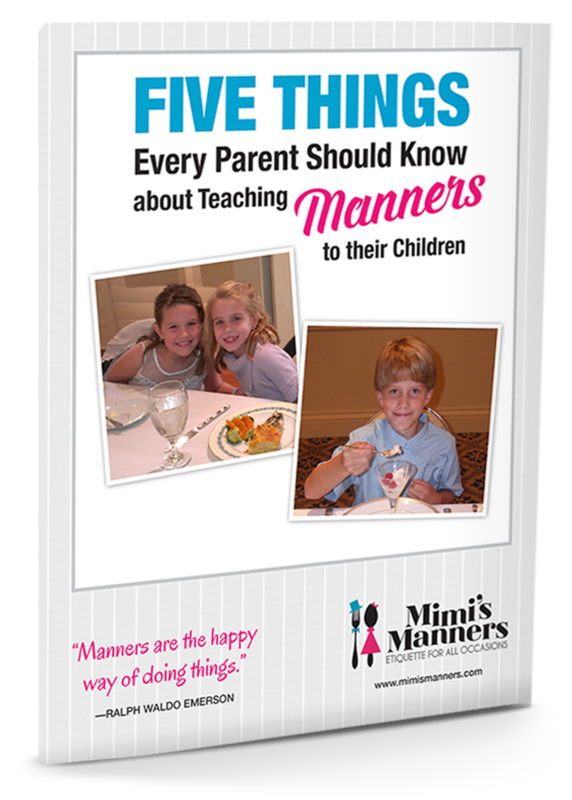 I know plenty of mothers (and grandmothers) who would love for their kids to learn (and continue to practice) good manners. I teach classes where children will learn the basics of good manners, handshakes, introductions, etc and then move through a three-course meal where they learn how to properly enjoy a meal without making a mess. The two-hour class provides children the opportunity to learn new skills while practicing their manners in a fun-filled environment. I’ve always believed Ralph Waldo Emerson’s quote: “Manners are the happy way of doing things.” I make sure the kids have a good time in the class while instilling the importance of good manners in school, at home, and in their future: careers, dating/marriage. I think all moms would agree: Kids who have manners make all moms happier. What better gift could mom want this Mother’s Day? For more information about classes, please call 239-287-7070. We are looking for any classes you may be offering in the Orlando area this summer. Our daughters ages 12 and 13 are attending TFA and will be entering the 7th and 9th grades respectively. I am interested in etiquette classes for my 6 year old son in Miami, FL. When and where will the classes be held?